You only need to reach wave 30 for the “survivor” trophy, however for the 5000 zombie kills & 1.000.000 cash spend you want to reach wave 34 to earn those. For this trophy you need to reach wave 34. Money can be spend on various items and ammo. There will be a point ingame where you will earn more money than you can spend. Keep wasting RPG ammo in the safehouse and keep buying new ammo. This is a boring proces, but it will allow you to spend all your money to earn this trophy. Spend your upgrade points in upgrading the Minigun & Sniper. The skill points should be used for resistance to zombies and increasing health. On the side roads, place a slider. On the main road, place a grinder, facing towards the door on the right. Only shoot the Bomb, Electric and acid zombies. All other zombies will be killed by the traps. Your main weapons are the minigun and the sniper. You won’t be needing any other weapons once you buy these two. After completing a wave you can quit the game and make a save to your USB-stick. In case you die you can always reload the save-file. In the video clip below you can see how you can play each wave, without moving too much. You will notice that i’ve placed some bariers and turrets in front of a door. This will decrease the amount of zombies that will be running towards you. They will start killing those objects, which is totally fine. This allows you to spend more money, which will earn you a few trophies along the way. You should start doing this around wave 15 when you have plenty of money. This trophy will pop once you reach wave 34. See “Survivor” for tips and tricks on this. You will need to kill a total of 1.000 zombies troughout any games. 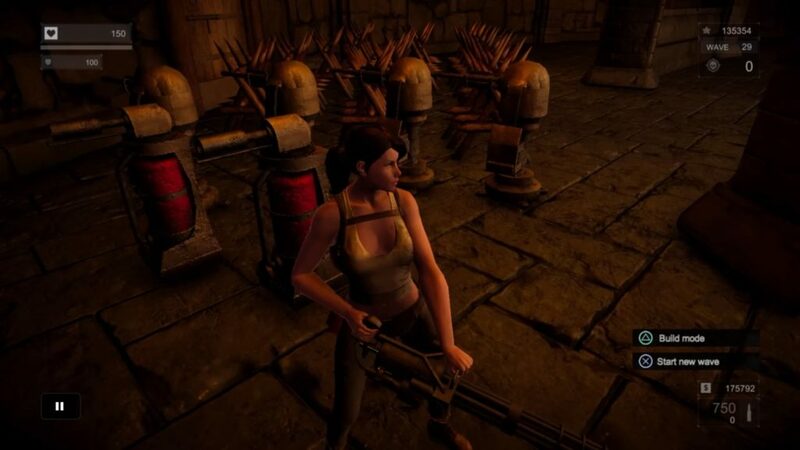 The Minigun can be bought at a price of 25.000 and comes with 500 bullets. Bullets can be resplinished after every wave. Buy the shotgun for 6000 cash and headshot a total of 100 zombies. 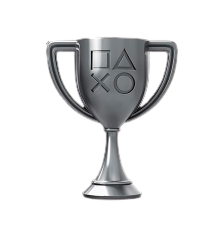 This trophy can be earned in multiple games, and doesn’t require you to kill them all during one game. It’s best to try this during the early waves (Wave 4-10). See ” Millionaire” for more information. 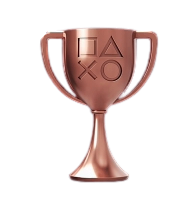 You don’t need to buy them in one game for this trophy to pop. See “Stage 2 – Reach wave 10” for more information on this. Improve the skill “Regeneration” to the maximum. Improve Turret to maximum in Workbench. Earn 1,000 points on the repair in one game. You will need to repair your turrets, flamethrowers, slicers and grinder for a total of 1000 points. This can be done once they get damage by zombies attacking it. After you complete a wave, you will be able to buy & repair stuff. Make sure to repair them as often as possible by pressing circle. Improve the skill “Resistance to damage” to the maximum. Improve AK-12 to the maximum in Workbench. Improve Machete to maximum in Workbench. Improve Shotgun to maximum in Workbench. Kill the Electric zombie by shooting at his feet. Simply kill an electric zombie by shooting at his feet. The best weapon for this is the minigun or the sniper. Kill 100 zombies in one game. Kill 500 zombies in one game. See ” 5,000 zombies” for more information. Spend 10,000 cash in one game. Spend 25,000 cash in one game. See “Millionaire” for more information. Buy the AWP sniper and this trophy will pop. 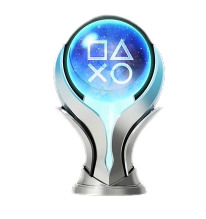 Buy the RPG and this trophy will pop. Kill 20 Acid Zombies using SMG. You will need to kill a total of 20 acid zombies with the SMG uzi. This can be a little tricky, because the uzi is a horrible weapon in this game. It will take around 1 clip to kill an acid zombie with the uzi. Improve SMG to maximum in Workbench. Build 10 Flamethrower Traps in one game. You will need to build a total of 10 flamethrower traps. You don’t need to build them in one game for this trophy to pop. A total of 2 flamethrowers can be places at once, so you will need them to be killed by zombies in order to place new ones. Build 4 Zombie Grinder Traps in one game. Build 4 zombie grinders and this trophy will pop. You don’t need to build them in one game for this to pop. You can place a total of 2 grinders at once, so you will zombies to kill them in order to place new ones. The Acid, Electric and bomber zombie are able to kill it. Build 2 Deadly Spinner Traps in one game. You will need to build a total of 2 spinners, this doesn’t need to be in 1 single game. You can only place 1 spinner at a time, so you will need to kill one. The bomber zombie are the only one in the game that are able to kill the deadly spinner. 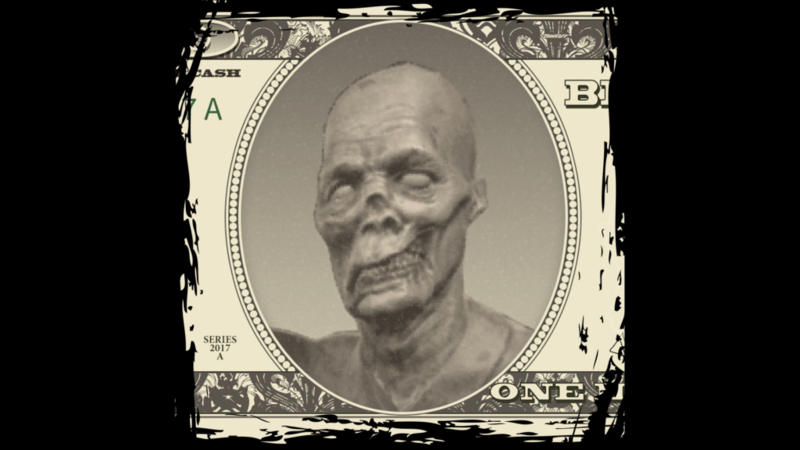 Earned upon killing your first zombie. Improve Colt M1911 to maximum in Workbench. Get Deadly Damage from Traps. You will need to keep running into your own traps (Slicer or grinder) and die of the damage inflicted. This trophy can’t be earned once you upgrade the regeneration skill, because you will regenerate faster than you will be getting damage.